What do you get when you put a band of impassioned Aussies in a van, and send them trekking across the outback and through cities? In the case of Royal Chant, you get something feral and raucous. And, beneath all that, something unexpectedly poetic. Singer Mark Spence is an American expatriate, and his deadpan singing style belies the restlessness just beneath the surface. 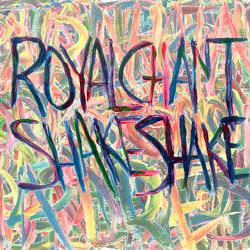 There’s an edge of discontent that runs through a lot of Royal Chant’s material. The modish “I Remember Crescent City,” with its bopping guitars and thumping rhythm guitars and doodling leads, could be a Strokes song in an instant. On “Shatters Alright,” Spence sings, “It’s not love without the abrasions” while guitars and drums send up torrents of grit. It’s garage rock perfection. Our favorite might have to be “Coughing Fits,” a dark and troubling rocker that unfolds with muffled dread. Sinewy guitars and twinkling keys quicken the pulse, and disturb all the way though the chorus. The abrasions might be psychological here, but either way, it’s love. A sparse and stripped back version of one of the better known songs from the Royal Chant canon, "Nothing Ever Happens, It Only Seems To" is a mediation on the modern world set to music and imagery.